I’ve come back to competitive swimming in the last couple of years, as a Master. Although I enjoyed a youth spent in the water, I can't fully identify with the T-shirt slogan I've seen this week, “I used to be faster; now I’m a Master!” I didn't find myself motivated to set competition goals when I was 14, sadly. Having had a pretty good 2013/14 training season I am about as fast as I was when I last competed as a teen. Last week I had the opportunity to compete in the 15th FINA World Masters Swimming Champs in Montreal, Canada, which someone told me is the largest aquatic event to be held in the Americas, ever. While some things do not change – e.g. familiar anxiety, with its negative consequences – aches and pains are more worrisome than they were 25 years ago, ‘recovery’ is slower, and, since improving as you age is pretty unlikely, my main (and realistic) aim is to slow the rate of decline rather than to ride a trajectory of gradual improvement. That said, this week, I’ve seen some truly inspiring swims, and also some nigh-unbelievable race times achieved by swimmers who are a lot older than me. The oldest participant in the 3km open water event was an incredible 87. The oldest participant in the pool swimming division was a 97 year old lady who had traveled from New Zealand! She looked 75. There were women in the 90+ category in all the swimming events INCLUDING the 400m individual medley and the 200m butterfly (in which one aged 90 set a new world record of 8min 52sec ....I couldn’t swim 200m fly NOW so the thought of swimming fly for nearly nine minutes at the age of 90 boggles the mind!). There were two 95-year-old men and there were men in the 90+ categories in most events. A lovely 87 year old man from my club competed and won a pair of silver medals. There were some pretty old participants in the diving category too. Scary to watch. Looking at the results I can dream that if I work really hard at slowing the decline (to a rate of zero…okay who am I kidding?) I could, for example, swim the 200m individual medley in my current time at this meet in 20 years time – and medal! Clearly these inspiring seniors are a healthy lot, enjoying the benefits of partaking in regular aerobic and strength-building exercise over many years. Yet it seemed to me that there are benefits of competitive/club exercise, aside from direct cardiovascular health related ones, when you are growing older. If you are introverted like me, being in a sports club helps you to connect with people in a less-stressful way than regular socializing. I see the power of the swim club in the way that the older members of my own swim club care for and encourage each other. I’ve seen it at the Masters Champs. Most people are not there to win, or to medal. Most are team mates who have made a journey half way around the world together. They have fun with each other and support each other, cheer each other on, say ‘Good job!’ even if a swimmer comes in way off their PB. At other, more accessible, events I have seen swimmers in the over-80-&-90 years age categories that are in wheelchairs on poolside, who can still swim a race and may hope to set a new record. 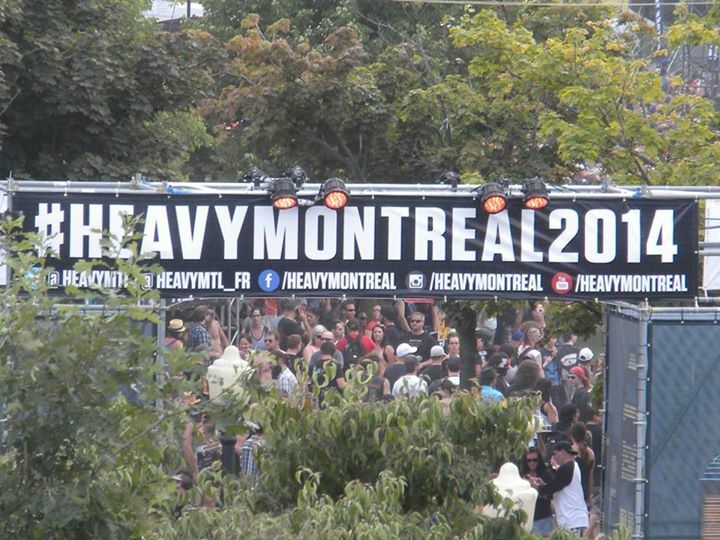 On the last weekend of #FINAMasters2014, we shared Parc Jean Drapeau with festival-goers attending the Heavy Montreal event. It made for an interesting contrast. Hundreds of lean, older, healthy, lightly clad athletes drinking fruit smoothies, alongside thousands of heavy metal fans wearing heavy jackets in the hot sun, arriving on Harleys, drinking mainly copious alcohol and filling the air with tobacco and marijuana smoke. Populations drawn from different demographics. That got me thinking about the older competitive swimmer demographic, or at least the crowd that managed to get themselves to the World Champs. We’re looking at a privileged bunch – that much is clear. They have enough money to travel a long way to compete. They have enough leisure to put in hours and hours of training; many can afford to hire personal trainers to help them with land training as well as pay fees that come with Masters swim club membership (registration with a Masters club was a requirement for entry). Some could afford to bring their spouses and kids along too. I noticed that the only competitors who came from Africa were from South Africa and Egypt. The majority came from Canada (‘home country’) and the United States, with large contingents from wealthier European countries, Japan and Australia. South American countries were quite well represented. I didn’t see a single black person competing (although I’m not saying I saw every competitor), which seemed odd. So when admiring the obviously superior health and wellbeing of Masters Swimmers, it is prudent to remember what’s known about the associations between socio-economic advantage, good health and longevity. 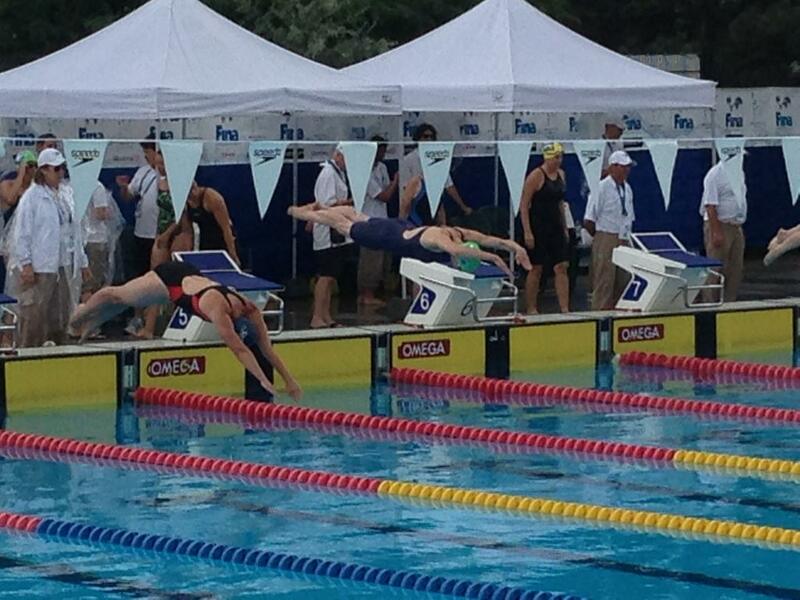 I’m still in awe of the 80+ and 90+ year old swimmers who came to compete at Worlds this year. They are an inspiration. I hope to be a 90-year-old competitor myself someday. That’s a good intention to have. “If you can’t beat ‘em outlive ‘em,” they say 😉 Yet I recognize that alongside all effort of training hard and eating healthily, the long term health of my body depends on other factors, too, like my income, many childhood advantages, education, genetic factors, and luck. 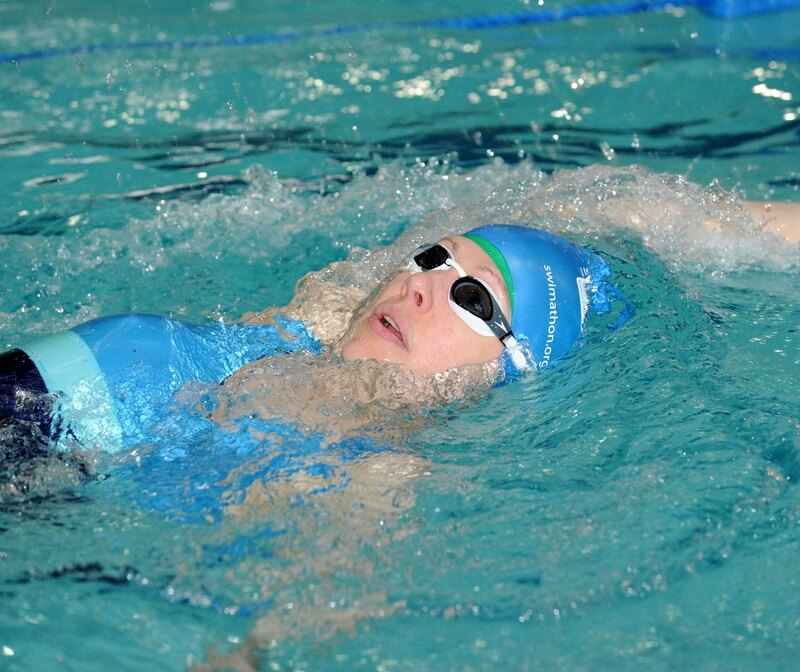 I’d like to develop another intention, too – to encourage people who don’t think swimming is ‘for them’ to try it. Hopefully, by the time I’m competing in the 80+ age groups, Masters swimming will represent a broader demographic. Posted in Editors' Blog. Tags: ageing, aging, aquatics, cardiovascular health, competing, demographic, exercise, FINA, health, healthy ageing, healthy living, Kirsten Patrick, Masters, Masters swimming, Montreal, public health, swimming, wellbeing on August 12, 2014 by CMAJ. Beautiful and thoughtful posting. As a resident of multi-racial and multi-cultural Toronto, I was also immediately struck by the relative “whiteness” of the competition. There is perhaps another category of countries–those with very strong developmental programs for the Olympics but with weak public programs. China has some fantastic swimmers but was there anyone representing the country in Montreal? But back to Canada, would love to see Masters Swimming Canada take on an initiative to reach segments of the population that are greatly underrepresented in the sport…Thanks for a such a stimulating piece. Your article is a wonderful tribute to those who inspire and motivate me most – those 70, 80 and 90 year olds who swim to compete, to win and to have fun.